While it may be its Michelin-starred reputation that draws you to visit at first, by the time you arrive at the La Maison des Bois, it is its cozy, unassuming appearance that catches your eye. Outside, the worn, rustic wooden exteriors blend into the mountain scenery, along with the lush green carpets and clear blue skies. And while some establishments don’t often keep a similar aesthetic both inside and outside for design purposes, the Maison goes against the grain and does just that, with refreshing results. But of course, its Michelin status nevertheless retains primacy, and for a good reason. Behind the operation is none other than Marc Veyrat, often touted by onlookers as the “Comeback King” for his ability to bounce back after some retirement scares. And to great reception—the said Maison received its first three-star rating after burning down in 2015. One could say that this success can be owed to Chef Veyrat’s immense skill in the kitchen, whose reputation includes being one of the first people who has been incorporating local, organic produce into his dishes before it became trendy. If there’s one thing, if any, that you should know about Chef Marc Veyrat, it’s that he’s a staunch environmentalist. Which makes sense, given how he crafts his dishes as well as the decisions made in the creation and operations of the Maison. Beyond aesthetic reasons, Maison’s wooden exteriors actually hold a sustainable purpose—Conde Nast notes that they’re taken from “recycled timber from old barns and farmhouses,” ensuring that the venue does not waste any materials in its construction. In addition to this, La Maison des Bois also receives much of its power from eco-friendly sources, such as solar energy and biomass fuels. But aside from the Maison itself, this low-impact philosophy extends to the menu itself. Particularly, its self-sufficiency. 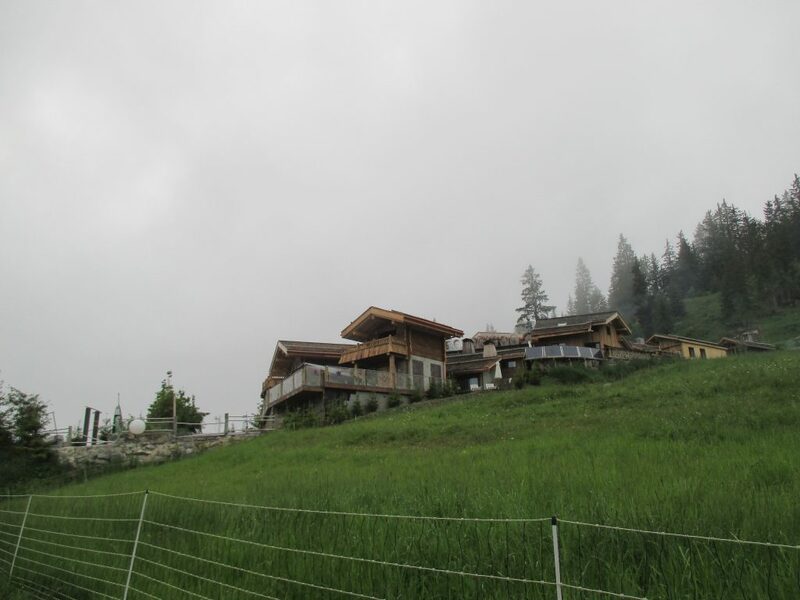 The mountains provide a bounty of great ingredients to indulge in, and this is something La Maison des Bois knows well. That said, one could say the Maison is a playbook on how to be self-sustaining—the herbs used are freshly taken from the Alpine landscape, while a majority of the menu components come from the restaurant’s organic farm. 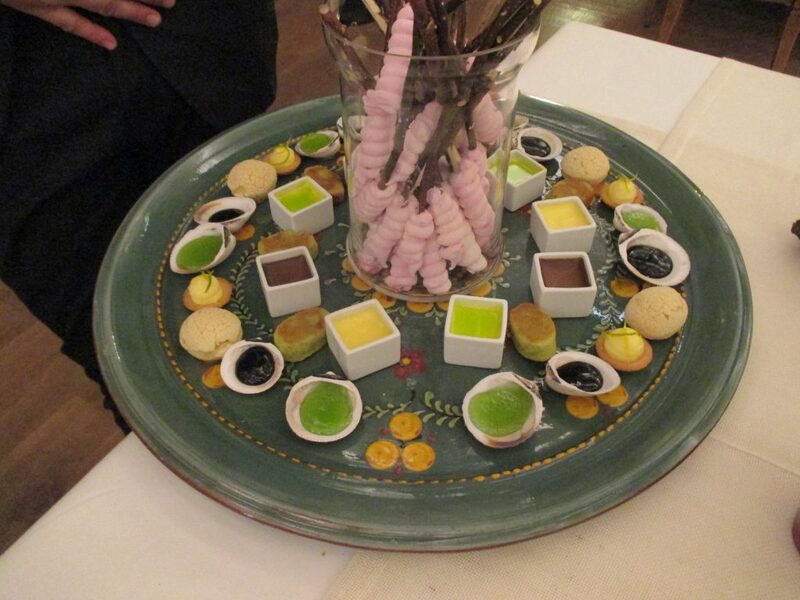 The best part is how Chef Marc Veyrat makes use of these ingredients, as his recipes highlight the best of each element. Using his prowess in the kitchen, Chef Marc builds up a menu in a way that is delicious, healthy, and organic, while showcasing the taste of the mountainside. You can taste it, for instance, in the approach he takes in utilizing trout, eggs, and caviar. Moreover, the restaurant also boasts of an impressive wine collection, all set to further bring out the flavors each dish brings. 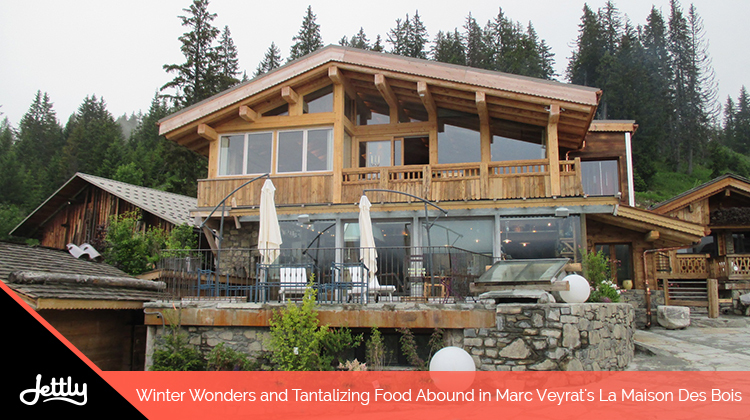 Indeed, Chef Marc Veyrat’s oeuvre is a spectacle to be seen, whether it’s admiring the site, the scenery, or partaking in the food. Don’t let distance stop you from visiting then—with Jettly, you can head there within the same amount of time, sans the hassle. Submit a flight request now.